Dani is an activist, advocate and human rights trainer with a focus on LGBTQI issues at national and international level. Their experience in LGBTQI activism began with their involvement in ACCEPT Association in Romania. 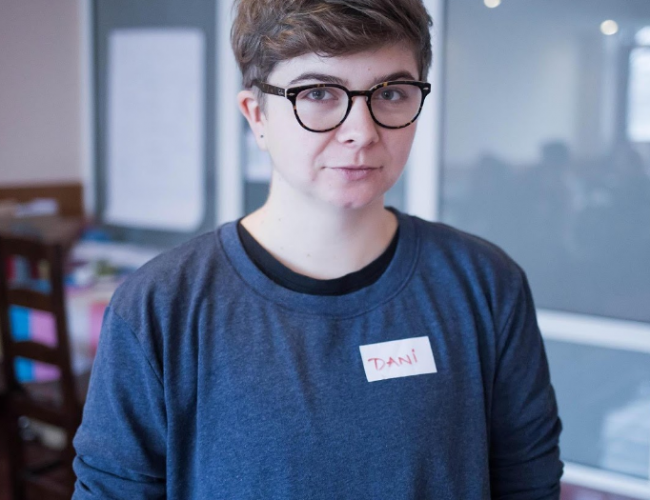 There, Dani has coordinated projects related to culture, auto-representation, community organizing, capacity building and education- including 4 years of coordinating Bucharest PRIDE and LGBT History Month. Dani is currently a co-chair of IGLYO (International LGBTQI Youth and Student Organisation) where they work to advance queer youth rights at European level and to build the capacity of activists through an intersectional framework in order to achieve positive change at local level.